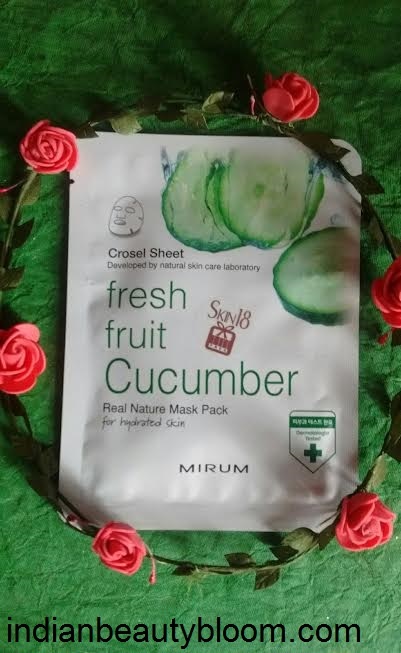 Today i am going to review one more product from Skin18.Com , its Mirum Fresh Fruit Cucumber Real Natural Mask Pack . We all know that Skin18.Com is Hongkong based site which sells Korean skin care products . Its products are good and affordable , very easy to use and very effective in maintaining our skin care regime . I have used and reviewed several products from Skin18 before . And i really liked them all . This sheet mask is a fresh fruit sheet mask which nourishes and hydrates the skin . Its made from natural cotton and is safe to use . This natural cotton allows essence ingredients to get absorbed in skin easily and completely . One needs to wash and clean their face , then tone it with a toner and then apply this sheet mask on face and leave it for some 20-25 minutes. After that the sheet needs to be taken out and one needs to massage the remaining essence on face so that it gets absorbed in the skin . 1. The products does what it claims , it nourishes & hydrates the skin. 4.Made from good quality cotton so safe for skin . 5.Travel friendly pack , can be easily carried in bag or purse . 6.Excellent for winter as it keeps the skin hydrated for a long time . 1.Availability might be an issue as available only on online store of Skin18.Com . 2.Contains parabens , so not good for people who look for completely natural & vegan products . 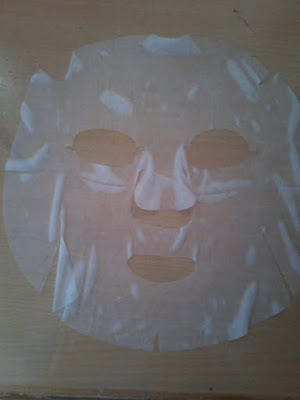 I have used several sheet masks from Skin18.Com before , and i liked them all . This one is also good . Has a nice fragrance ( of cucumber ) . 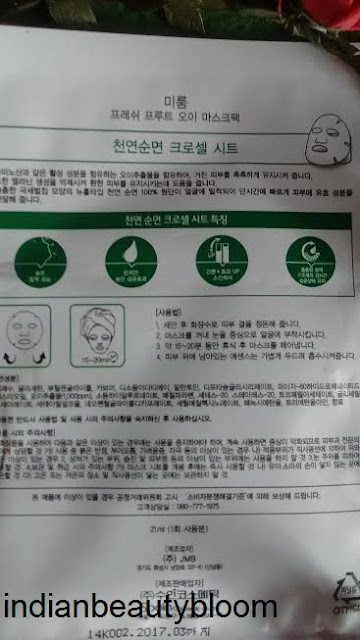 The quality of sheet mask is better than other ones which i have used earlier as its made from 100% cotton sheets . After using this product my skin felt soft and supple and its hydration power is good , the essence is good enough to hydrate the skin completely and keep it nourished for a good period of time , so one does not needs to use a moisturizer or cream after using this product .